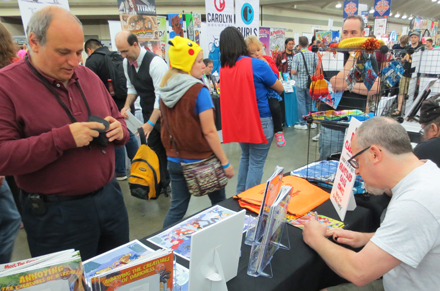 Here I am autographing an issue for a lucky customer! 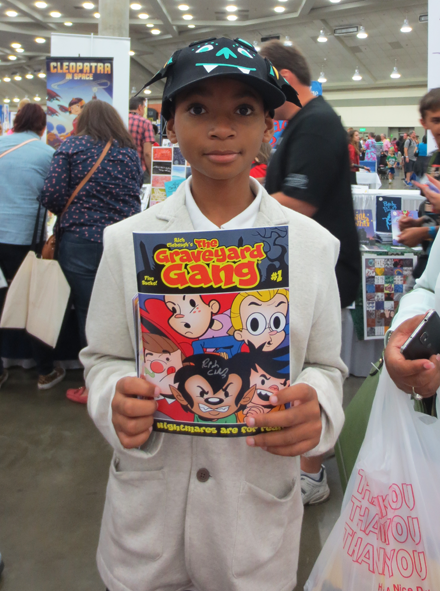 Over the span of 3 days at the ‘Kids Love Comics!’ Pavilion at the Baltimore Comic Con, I got a chance to introduce many attendees, kids and adults, to my comic The Graveyard Gang. 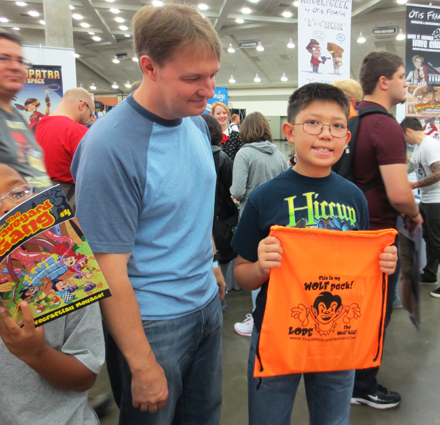 A rather new, unknown comic book series is a tough sell to many Con goers used to the well known characters of Marvel and DC Comics, but I found lots of folks excited to learn about my comic. 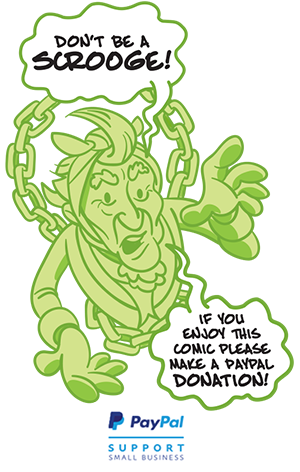 Thanks to all that stopped by, checked out my comic and those that took some home with them! 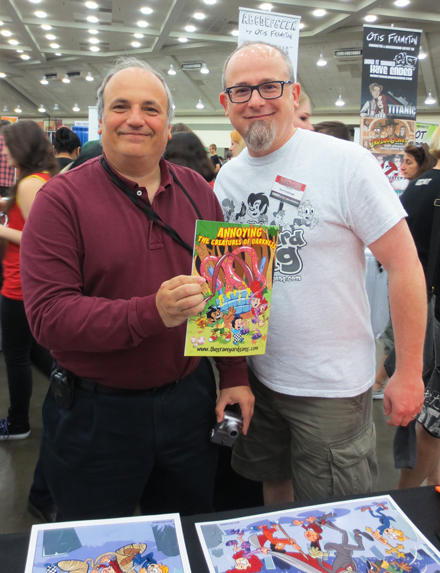 There was even a Pennsylvania comic shop owner Bill Wieder who stopped by, loved my book, and bought some copies to stock in his store, Comic Books 101. 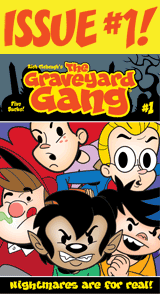 So check out photos of some of the folks who bought some Graveyard Gang Comics, maybe one of them is you! 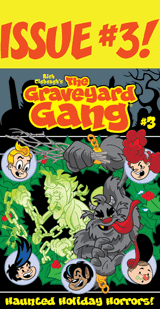 Xavier picked up Issue #3! 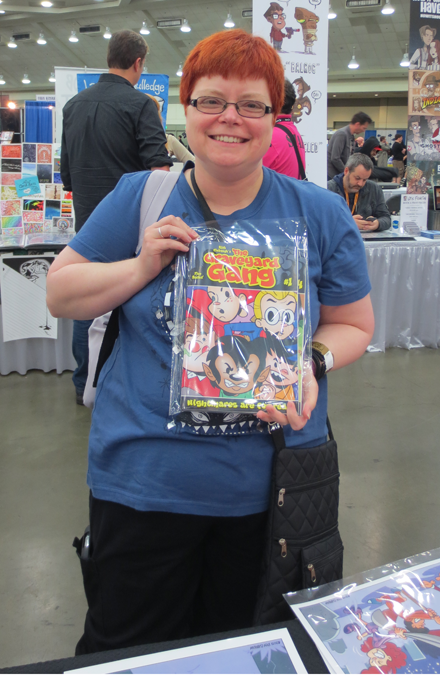 Robin liked the GG so much she bought all 4 issues! 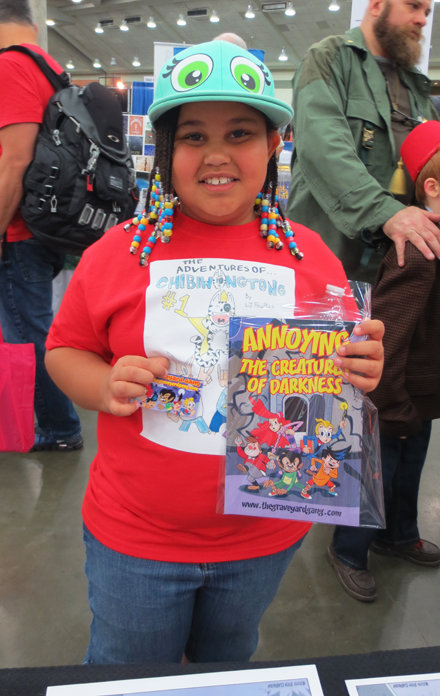 Logan got a ‘wolfpack’ to hold his comics! 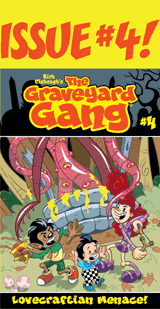 Kayla decided to buy Issue #1, a good place to start! 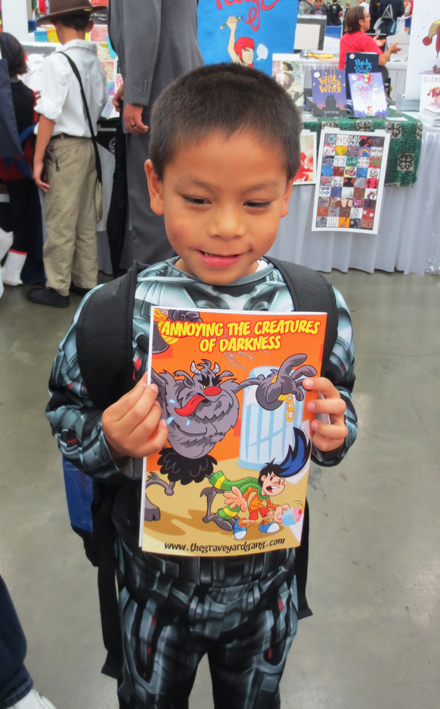 Joshua with his autographed copy of Issue #1! 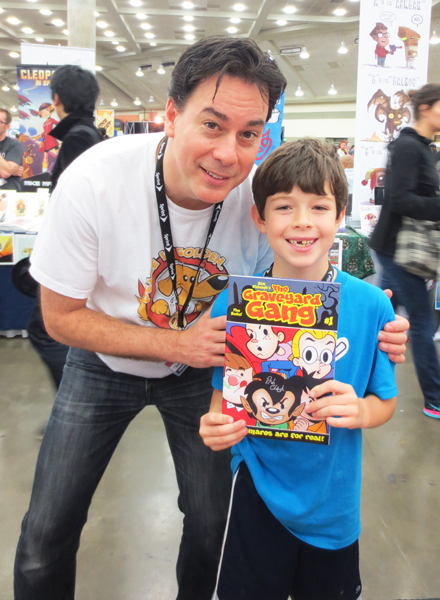 Comic creators John and Will Gallagher bought an Issue #1! 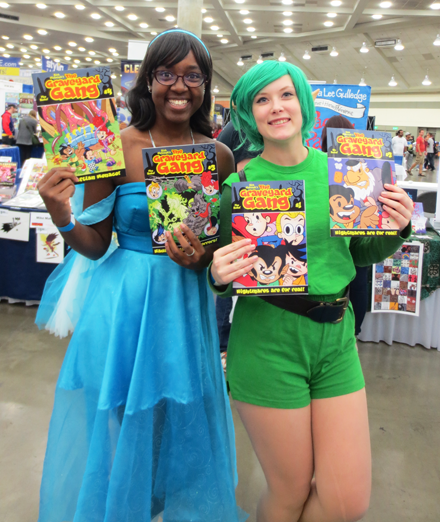 Even some Cosplayers bought a set of comics! 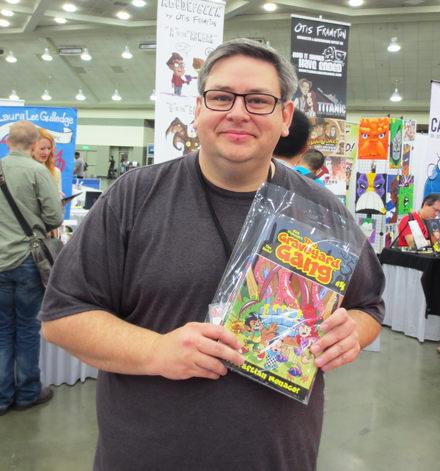 Brett bought himself all 4 issues! 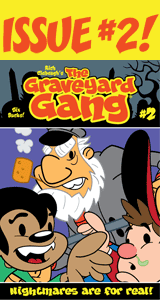 Athos checked out Issue #4! 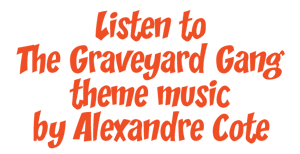 Next time: Meeting some fellow comic creators!